Aww, it’s just so cute! Hurry over to Amazon for this adorable deal! 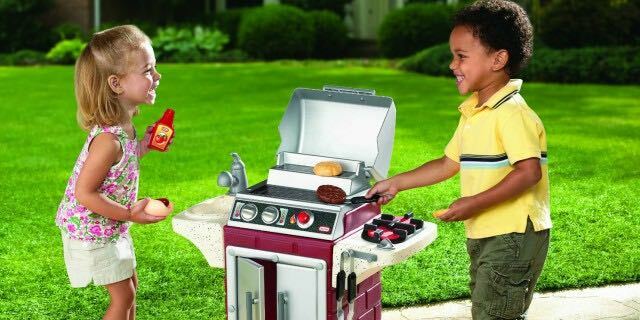 Get a Little Tikes Backyard Barbeque Get Out ‘N Grill for just $30.99 shipped! Normally $69.99! That’s a whopping 50% off! Let your big helper grill some burgers and dogs alongside you. 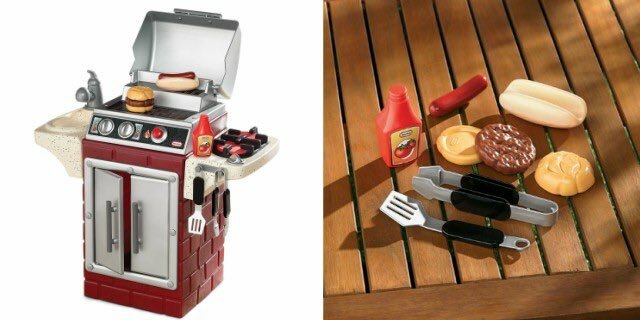 This toy is designed to look like a real gas grill with dual grills, opening lid, sink, and side burner. Everything fits inside the grill cupboards for easy cleanup and storage. It also comes with 8 accessories for extra fun. The starter button even clicks for added realism. Start teaching your little one how to grill food at an early age! They’re never too young to learn…  Hurry and grab this deal before the price goes back up! Sign up for a free trial of Amazon Prime, Amazon Family or Amazon Student and get free 2-Day shipping! Check out all our Walmart Deals! Previous articleTop 10 Deals of the Day 8/14! Next article5 *HOT* Lego Deals @ Walmart!